We came across this fantastic article (see below) that provides tips on what foods to eat to counter bad moods. Now we all know that women can get cranky or "hormonal" at times, but eating certain foods can actually help curb these bad moods. When preparing for a wedding, one undergoes much stress. 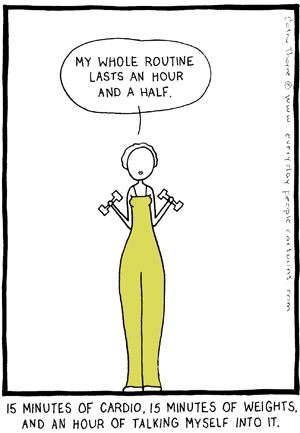 And if you are on a diet and exercise plan, you will certainly undergo some of the bad moods listed below. And if you do, you can do something about it. Just reach for the right kinds of pick-me-up foods, and you will be on your happy way! While that tub of ice cream in the back of the freezer may be what you crave when you’re feeling blue, there is a long list of other (healthier!) 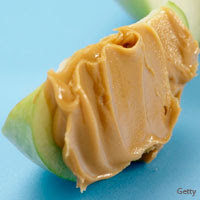 foods that can cure a grouchy morning or a stressed-out afternoon. We talked to the experts to get the scoop on what to eat to make you feel better no matter what your mood. The scenario: It’s Friday at 6:30 p.m. You’re hungry, tired and late for your dinner date. You were supposed to be out of work an hour ago, but your boss has asked you for a favor…again. The stress is building, so what can calm you down fast? Now’s the time to pull out the chocolate bar hiding in the back of your desk drawer. Experts say that chocolate—particularly dark chocolate—may help reduce the stress hormones that are swarming in your body. 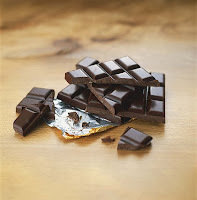 In fact, a recent study by researchers in Switzerland, published in the Journal of Proteome Research, found that eating just a smidge of dark chocolate (about 1.4 ounces) has the power to lower the stress hormones cortisol and catecholamines in the body, reducing your anxiety and giving you a better chance to get the job done—and make your date. Can’t concentrate? Trouble keeping your eyes open? 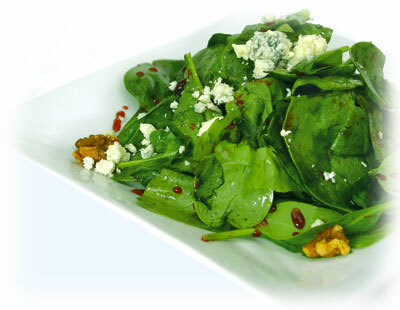 Skip the coffee and have a spinach salad instead, says Joanna Dolgoff, MD, author of Red Light, Green Light, Eat Right. “Folic acid, or folate, helps your body to process and lower homocysteine levels,” says Dr. Dolgoff. “High levels of homocysteine are associated with damage to blood vessels, in addition to interfering with the flow of blood and nutrients to the brain. Impaired blood flow may leave you feeling sluggish or slow to process or recall information.” The best way to get a boost? Eat folate-rich foods like spinach and other leafy green vegetables as well as potatoes, fortified breads and cereals, beans, peas and mushrooms. Worrying about your finances, your marriage, your kids? If anxiety and worries are consuming your day, consider heading out to lunch with a friend. The conversation will do you good, and so will the meal—if you order salmon, which is one of the richest sources of omega-3 fatty acids, a nutrient that may help tame your anxiety. "Regular consumption of omega-3s has extensive research support for both the prevention and treatment of clinical depression. And there's growing evidence that omega-3s also help reduce anger and irritability,” says Stephen Ilardi, PhD, author of The Depression Cure. While there are plant-based sources of omega-3s, Dr. Ilardi says it’s best to stick with fish: “The specific form of omega-3 that most strongly boosts mood is found most abundantly in coldwater fish such as salmon, herring, sardines and mackerel,” he says. Maybe your neighbor’s dog barked all night long and kept you up or your coworker took credit for a project you worked on over the weekend. 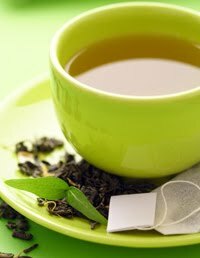 Whatever the reason for the grrrrrrs, if you need to calm down fast, consider sipping a cup of green tea, says Jacob Teitelbaum, MD, a researcher, nutrition expert and author of Beat Sugar Addiction NOW! Here’s why: “Green tea contains theanine, which calms you and helps you maintain clear concentration and focus,” he says. Green tea’s modest amount of caffeine won’t send you into an angry rage, either; it’s gentler on your body than coffee. Need a happiness boost? While the source of your sadness could be work- or relationship-related, it also may have something to do with a deficiency of vitamin D in your diet. “This nutrient has many different roles in the body, one of which is to help in the production of serotonin,” says Dr. Dolgoff, explaining that serotonin is a neurotransmitter known as the “feel-good hormone” that can help you feel calm, relaxed and happy. If you’re low on vitamin D, you may be affecting your body’s ability to stabilize your mood and reduce feelings of depression. 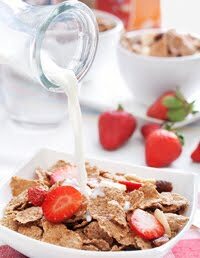 To boost your intake of vitamin D, turn to lowfat fortified milk, fortified cereals or mushrooms. “Depending on your diet, you may also need to take a calcium and vitamin D supplement,” adds Dr. Dolgoff. 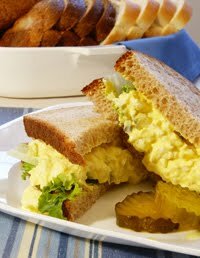 If your go-to PMS meal usually comes in the form of comfort food (mac ’n’ cheese, potato chips, ice cream) consider making an egg-salad sandwich instead. In the days before your period, it’s normal for women to begin craving carbohydrates, says Stella Metsovas, BS, CN, a nutritionist in private practice in Laguna Beach, California. And for good reason: Carbs help your body boost its serotonin levels, in turn helping you improve your mood. But avoid high-sugar, high-fat carbohydrates, like doughnuts or chips, which can leave you feeling sluggish—or worse, grumpy—after your blood sugar spikes, then drops. Opt for whole grains, such as whole-wheat bread, and for extra PMS-zapping strength, pair them with tryptophan-rich protein such as eggs, sunflower seeds or turkey, which may enhance the release of serotonin, adds Metsovas. An egg-salad sandwich on whole-grain bread offers the perfect carbohydrate-tryptophan combination. Try our favorite tip: Cut the mayo and mix your diced hard-cooked eggs with a teaspoon of fat-free or lowfat plain Greek yogurt and half a teaspoon of whole-grain Dijon mustard. One of the best yoga poses for improving mood is the feet-up-the-wall pose.It's a great release valve & you cannot exercise properly when thinking about other things. 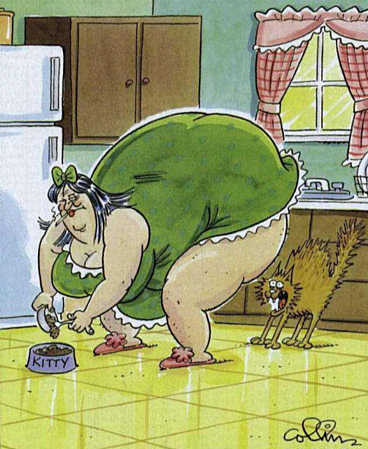 You can loss weight with the water. It is such a very helpful and gives result in short time. 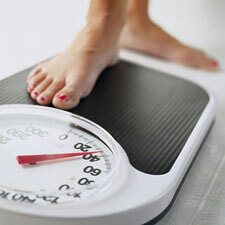 Drink 8 glass of water through out the day as well as avoid oil foods from daily diet.